Yes, you read it right. I have made 2076.74$ last month for some people it might look less and for some it might be too much but whatever it is you can make these figures too and today you are going to learn how to do it. 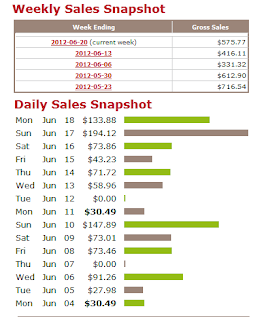 Here is my step by step guide just replicate it and you too can start making money with CB. Before you start out you need to have few things in place the first thing is a domain name which going to be your blog name and a good web hosting. Some people get confused with this part so here are few pointers which you can follow while choosing the name of your blog. Catchy Domain Name: You can also opt for some catchy domain name which doesn't have any words related you business just like google.com or yahoo.com these doesn't have any meaning but still they sound great. Domain name is just a name of your business but you need to keep it somewhere so you have to get a hosting if you choose Hostgator you can save you dollars for the domain name as with every hosting package they provide a free domain name. All products are listed under their Affiliate Marketplace tab from here you can browse the entire marketplace of Clickbank. Just check out the category which matches you blog niche you will come across bunch of products. What most people fail while promoting cb product is they just choose products randomly but that's not what you should do each product going to take few weeks of promotion so a bad product only going to waste your time and energy. 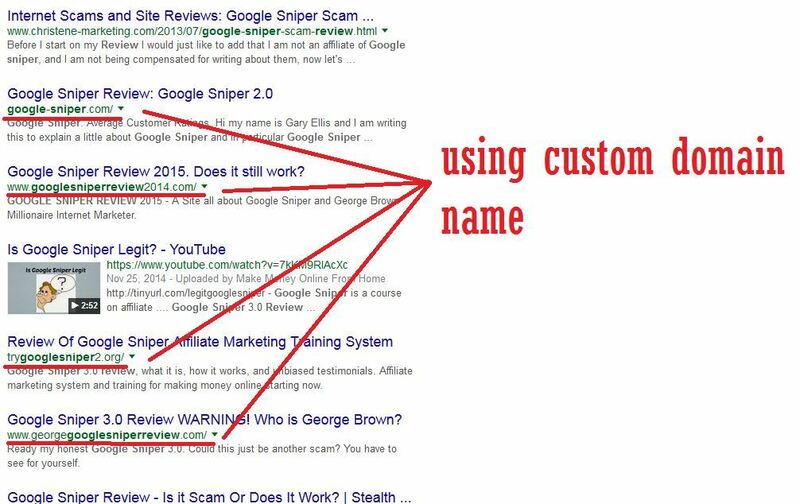 There are bunch of stats below each product which going to give you a rough idea about what product going to sell and what doesn't now lets see the the following metrics of a product called "Google Sniper". You can see the gravity of the product displayed as "Grav: 122.29" is quite high mostly a product with gravity more then 5 have potential to sell but it has really high gravity which means it's a solid product. Now should you start promoting it right away no not yet there are something to look before you make up your decision. Now let see what comes up while you search "google sniper review" on google. Now there is a pretty much big bunch of websites comes up in the search result and some of them have even bought a custom domain name just for promoting this product.So the what fancy about these custom domain names is that when you think logically these guys have bought a domain name that going to cost somewhere around 10$ a year along with that they might have spent approximately 60$ on hosting. So practically the product they are promoting is giving them enough money to sustain their single page website so you can use this criteria to know what product are hot cakes before jumping around blind folded. So well we have a quite decent product to promote but it's really competitive to rank up your review on the first page so when i have this sort of product where i know i would make a sale then i usually mark it as long term project as it's going to take couple of months to rank on. But ranking really pays of the hard work because a single product can bring enough sales then selling thousand of crap for zero dollar. After shortlisting some good products take few less gravity products just to fill up your accounts since ranking for these less competitive products would take less time so you can see few dollars before you start making bigger paychecks. A product with gravity of 5-20 are medium competitive targets. Now you have a list of strong products to sell but the bigger question is how you gonna sell them. For that you need to understand the art of crafting content. They may look flashy and cool but they don't convert really well when it comes to selling. When you send your visitors through banners you are not pre selling your customers as an affiliate you job is to create awareness about the product so if people don't know what a particular product can do for them they won't going to buy. So you need to make them understand the benefit before sending the affiliate page. Briefly if you are selling a bicycle how would you sell them? By explaining about the benefit? isn't it and more importantly you should be able to explain how it will improve their life. The same way if you selling a hair fall products you can write some tips about preventing hair loss and then recommend some hair loss products at the end. When you think about selling something always think of the problems of your potential customer as when you think about the problem of your customers only then you can provide them a solution. How To Articles: Anything teaching how tos are often get sales as people are search for solution if you write about "How to repair a bicycle" you can easily sell them repair parts to your visitors as they are looking for a solution. Review: The reason reviews bring good amount of sales because people are already convinced about certain stuff but they are looking for last opinion about it and when you come up with a honest review about that stuff, people buy from you that's why you will see lots of reviews on my blog. Currently i am getting 2-3% conversions on my review post. Email marketing is still the No 1 weapon in affiliate marketing if you follow major affiliate marketers they will all agree that the large portion of their income they have build through using their email list, well email marketing is bit techy for anyone who is new to internet marketing but skipping out is not an option because no matter whatever you learn at the end you will come up at email marketing. For learning email marketing it's always better to learn from authentic places and i know such place such as affilorama training program, This is where i took my first baby steps in affiliate marketing.It's a web based step by step affiliate marketing training program which teaches you everything about affiliate marketing you will learn all techniques and skills you need to get started. The training has been started by Mark link who himself is a seven figure super affiliate. PPC can instantly bring result as you have pay for visitors that come to your website you can dive in ppc thorough various authentic ppc program such as google adword. The reason why i hate ppc is that it's not cheap to master the art you need to go with trial and error method to create a good converting campaign so money has to be invested before you can think about making money. Note: Now Google doesn't allow direct linking to affiliate offers so you need to create a landing page don't worry it just takes couple of minutes to create a landing you need to create a landing page and then push affiliates links over their.